A Quick Note...and a Fun Book! This past week I had the opportunity to meet with one of the STEAM classes for a short story time. 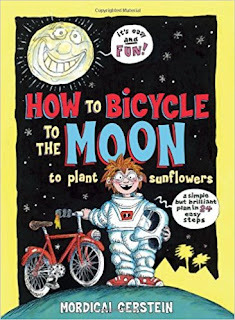 We read How to Bicycle to the Moon and Plant Sunflowers, which sounds purely silly, but also provides some real information about engineering and space travel along with the laughs. Better yet, it also prompts, as it did in our story time, some great questions and innovative thoughts. That blend of learning and fun makes it one of my favorite STEM books. For others like it, head over here! In fact, a number of the books on this list are also on our library wish lists of books we hope to add soon...and we hope our Read-a-Thon proceeds will help us begin to do that! 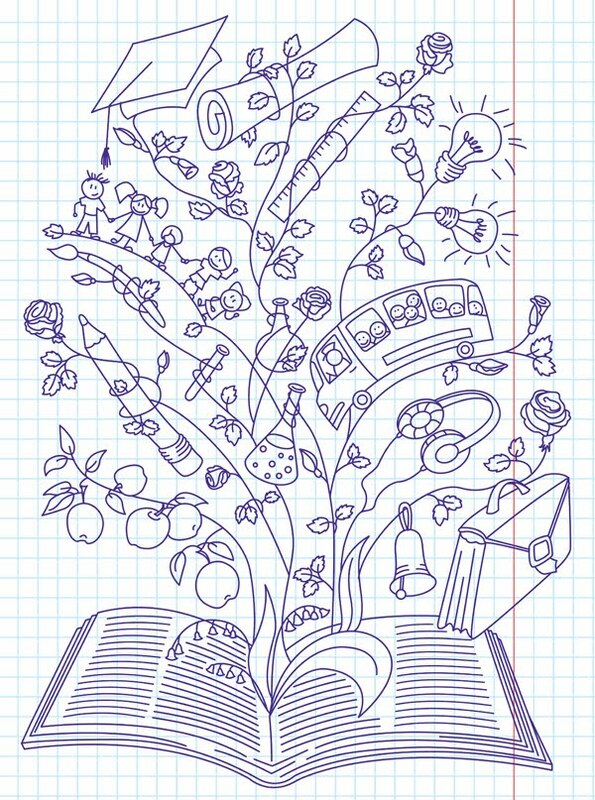 So this serves as your gentle reminder that Read-a-Thon pledges are due Monday, April 30. We're excited to show our CHESS friends and family what their support is going to do for the library! Today we're kicking off our week of Spring Read-a-Thon! 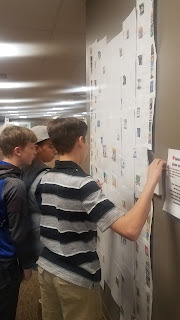 I know it's been a busy week for many, with testing and then the Homeschool Convention, but even if students weren't able to get their pledge and reading logs last week, there's still time. They can begin any time this week, or even request small one-time donations from friends and family who would like to help them support our library. The rules are here, and the proceeds will benefit all our students, as we're hoping to add new books to our library in anticipation of our exciting summer reading challenges! Speaking of adding books to our collection, one day last week I had a great conversation with some students in the library about how we decide exactly which books belong in our school library. It was insightful to hear their thoughts about content and age appropriate material, and I think it was good for them to work through aloud the challenges that arise when determining which books to add to a library collection and how to direct them to the most appropriate audience. "Whole" stories are those in which good is good, bad is bad, and good wins. There may be struggles along the way, but these are the "happily ever after" sort of stories. "Healing" stories are those in which good is good, bad is bad, and good wins...but not in the way that was expected. Obviously we want to fill most of our reading, and thus much of our library with "whole" and "healing" stories, especially for younger readers. Even then, though, we don't want to shy away from the tough topics of struggle, conflict, and even death that are present in many "healing stories." Children are grappling with these things within themselves, and stories have long helped them to work out their fears and develop their understanding of such concepts in safe ways. And in these sorts of stories, we see powerful themes of courage, honor, forgiveness and redemption. "Broken" stories are those in which good is good, bad is bad...but bad wins. The characters often make the wrong choices, and there is no happy ending. These sorts of stories should be reserved for readers who are mature enough to ask the right questions - or better yet, readers who can be mentored through the process of reading and evaluating them. They can be difficult or depressing tales, but they can, with the right approach, be enormously valuable in helping the reader better understand the world, and of the truth in the midst of brokenness. Therefore we do carry books that would fall in this category (and our CHESS Language Arts teachers do a terrific job as mentors as our older students explore them in class situations). "Twisted" stories are those in which good is bad, bad is good, and in general, the traditional understandings of right and wrong - and the archetypes that represent those understandings - are turned upside down. These types of stories are intended to make the reader see good and bad differently (in contrast, some books in the "broken" category may present a skewed viewpoint, but with the intent of shedding more light on truth). I can't think of any that we would recommend or that we carry in our library, as our express purpose is to help CHESS students develop and strengthen a biblical worldview. Building that worldview, however, requires a variety of tools and approaches, and so in our library, we try to carry a wide variety of stories and voices. We carry stories that promote truth, beauty, and goodness, with the understanding that sometimes those stories must share what is ugly and evil to shine an even brighter light on the truth. We encourage our students to read them, not only to entertain - and not even just to put notches in the belt of their education - but to build wisdom and understanding, to cause them to grow in their "moral imagination." And we encourage parents to be a part of how they find the stories that best speak to their hearts, because that, of course, is part of the system of learning and shared teaching that makes CHESS great! So back to the start - we're excited about the growth of our library, and we hope our friends and family will also be excited to join us in building our collection and, through that, investing in the minds and hearts of our students!